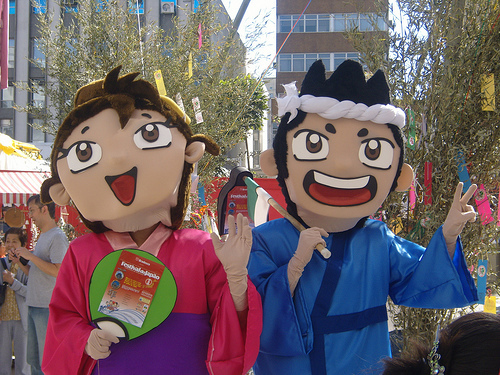 The Tanabata festival, also known as the “Festival of Stars“, takes place on Day 7 of 7 th month of the year in towns and cities across Japan. In this date, according to Chinese legend, the two stars Altair and Vega, which are usually separated one from each other by the Milky Way, are able to meet. 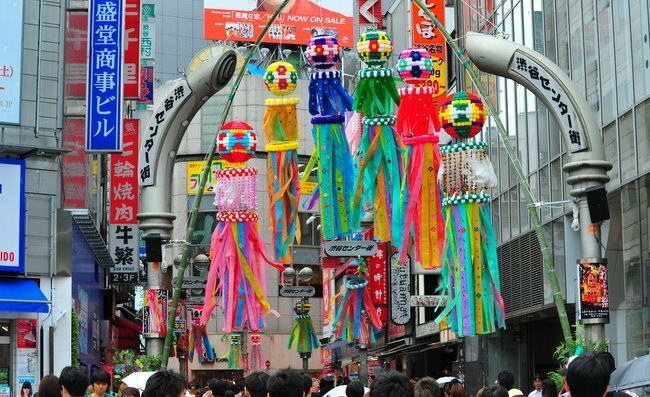 Because the 7th month of the year coincides with the month of July, or August depending on whether to consider the lunar calendar, Tanabata festival is still celebrated on August 7th in some regions of Japan and on July 7 in others. As said, the festival is linked to a popular legend of Chinese origin : according to tradition, to the west of the sky they lived the men, while the gods lived in the East. Among them there was the pastor Hikoboshi (represented by the star Altair) and the goddess Orihime (represented by the star Vega). The two fell in love and were married secretly, against the will of the father of the goddess. Unfortunately, his father, when he discovered them, he put his daughter in the land of the gods and to divide the two eternally, he created an enormous celestial river : the Milky Way. The suffering of the two was so much that Orihime’s father, moved by the tears shed by the couple, gave them the opportunity to meet again once a year, just the seventh night of the seventh month of each year. 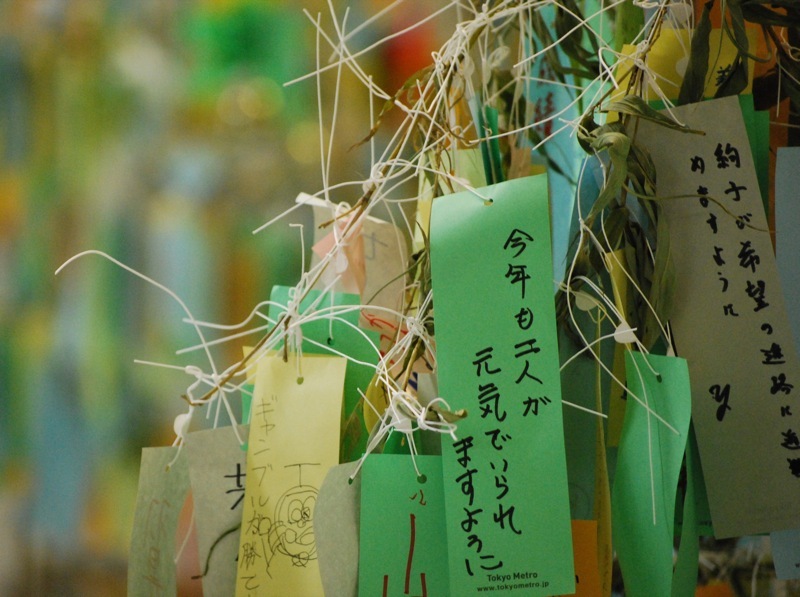 The popular tradition of Tanabata is to write a wish on a piece of paper and hang that piece of paper on bamboo branches, especially for holiday places, in the hope that the desires can become reality. Colorful Tanabata festivals are held throughout Japan and among the largest and most famous are the Festival of Sendai Tanabata, which is held in August (though unfortunately this year will not be the same) and the one of Hiratsuka, near Tokyo, which took place the 7th of July 2011.